The Detroit Symphony Orchestra has released a new digital EP on its Live from Orchestra Hall label. 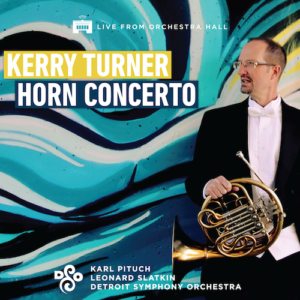 The recording features Principal Horn Karl Pituch performing Kerry Turner’s Horn Concerto, “The Gothic,” which the DSO premiered in concert on May 23, 2013. Download the recording on iTunes today!